Okay, it is such a BEAUTIFUL night toningt, can you believe I am in my backyard right now w/my foot elevated w/an ice pack on it doing this post! Did I forget to mention it is midnight right now? Yep, WAY TOO HOT to sleep! 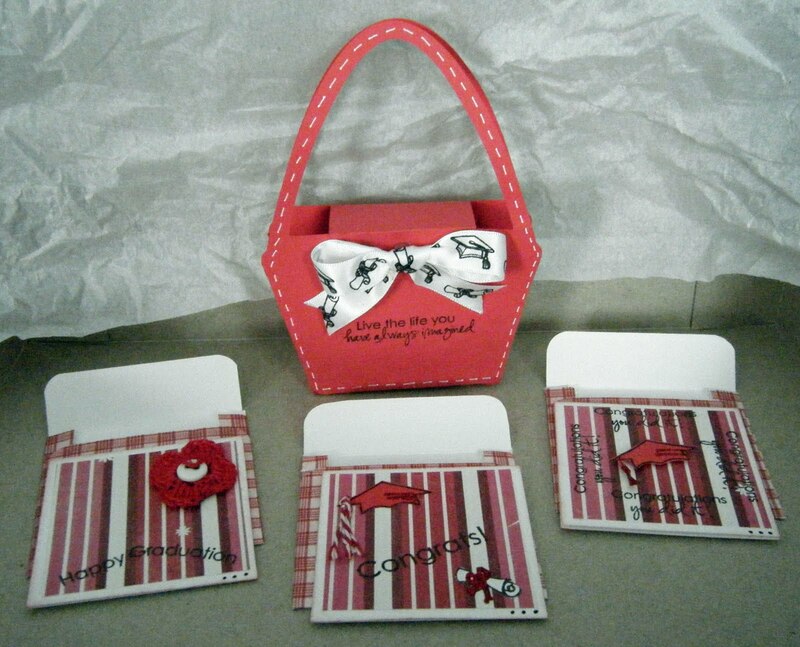 I would like to introduce to you my "Special Guest Designer" today, Miss Lisa Sylvia w/Lisa's Craft Room! Can I just say, what a SUPER SWEET Lady Miss Lisa is? When my hubby was sick a few months back, she sent him a sweet get well card along w/cards for my boys also! She knew my boys took their Daddy being so sick the hardest:( So Miss Lisa made them both sweet "Thinking of you" cards! Here is one of them, isn't it adorable? Notice the little "A"s she put on the wheels, which were the 1st initial of their names! This card shown here was for Anthony! I just had to share this w/you! Thank you Miss Lisa for being my Guest Designer today & THANK ALL OF YOU for stopping by! Oh what cute projects! Especially love the card set with purse. So sweet! Great work, Lisa!! Wonderful Project Lisa. I love the purse too with the card set. Always great gift ideas.